My name is Shawn and I am a bad ex-pat/foreign resident in Egypt. I do not play the part well. I enjoy long walks alone on urban streets. I do not heed security warnings without some critical thought first on my end. I question things. I question the use of Blackface on stage. I question rock star treatment of Vladimir Putin. I question the reason to keep Sadat Station closed. Not exactly Rosa Parks, but I refuse to slide to the end of the bench on the Metro because I’m a woman. I am heavily annoyed by the Egyptians that stand shoulder-to-shoulder on the escalators, not stepping to the right so that those who choose to walk can pass by. There are things I love about Egypt, mostly the Egyptians. I love the grit, the deep culture, and the resolve for social justice. My husband is Egyptian and I am close with my Egyptian in-laws. I have spent 33 months in this country. Yet my experience is only my own, and the following post claims to be nothing more than my individual understanding. 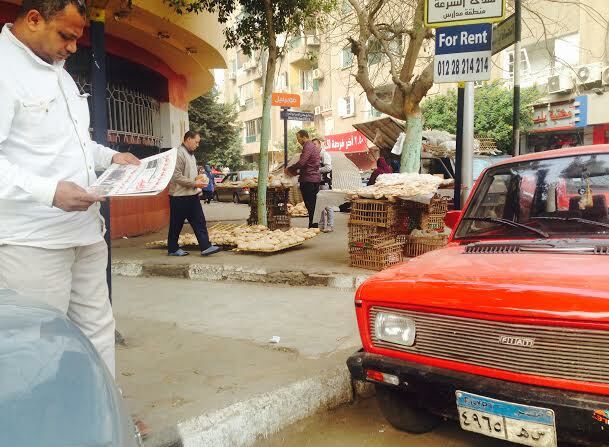 People are continuing to pick up their newspapers from their guy in the morning. There are book fairs, flea markets, motor shows, and Julio Iglesias concerts, mostly for the elites and foreigners. I have yet to see a free public parade or community festival accessible to Egyptians not in the upper classes. There are no more demonstrations either than small protests on campus with deep levels of approval. There is guerrilla art calling for the release of political prisoners or the end to arrests of activists. There are daily bombs targeting police and military, usually attributed to supporters of the Muslim Brotherhood (the country’s former administration now widely established as The Terrorists with connections to ISIS). President Sisi and his team are fighting them. The general conception is, You are either with us or against us. When members of the Muslim Brotherhood recently went to visit the U.S. Congress before a big terrorist attack here, the signs went up in Cairo saying that Obama is the world’s biggest supporter and creator of terrorists. None-the-less, I feel safe, actually too safe, like part of a system where I must do what I am told and all will be well. 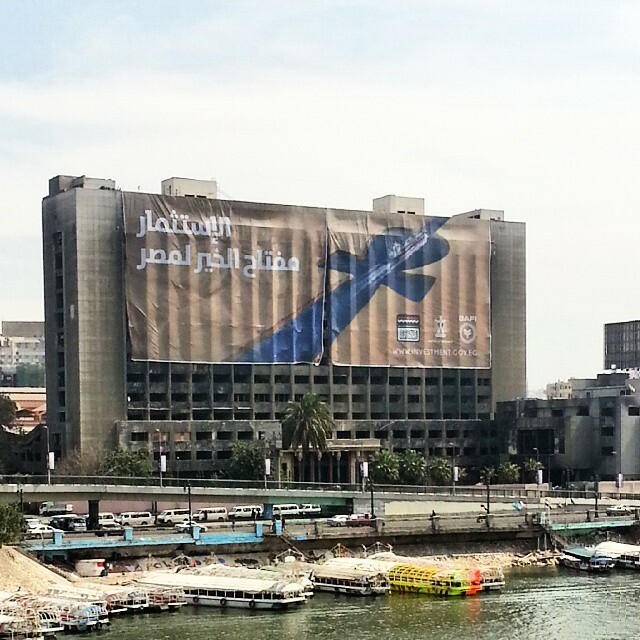 Then this week, the burned-out building near Tahrir Square that has stood for years in ruins as a symbol of The People toppling the dictatorial Mubarak regime was covered with a massive banner calling for financial investment in national projects. There was an impressive, grand-scale economic forum in an elite resort beach town over on the Sinai Peninsula this weekend ‪where Egypt signed deals worth $15-$20 billion. Glimmering plans were also just unveiled for a new capital. Take into mind that while I was checking out the jaw-dropping, Dubai-esque plans on the website, I was sitting in an apartment that leaks when it rains, in a building with shoddy electrics, on a street with unwalkable sidewalks, in a neighborhood with open trash piles, in a place where citizens in wheelchairs have to be carried up stairs, in a city with unreliable emergency services management, in a country where the winds of sand settle in every corner and the facade-cleaning can never keep up. 1. Egypt needs to grow sustainably. 2. Egypt needs to grow openly and accountably. 3. 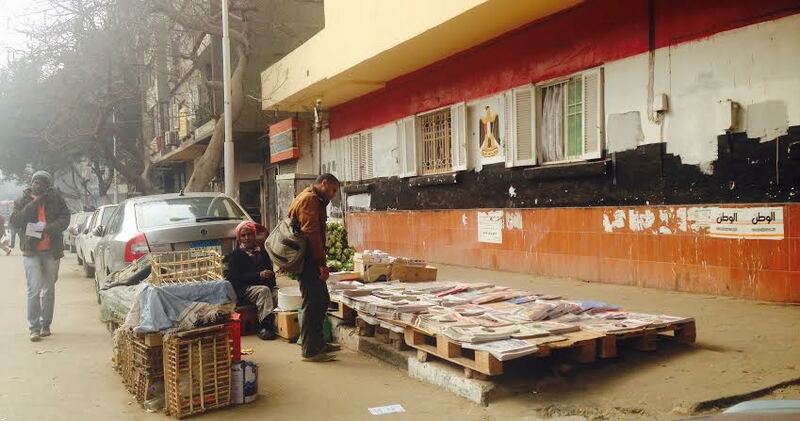 Egypt obviously needs to grow inclusively. 4. Egypt needs to grow transparently. The weather is 75° and sunny.